Cheap Glow Pearl Necklaces - 24 Ct.
Glow Pearl Necklaces - 24 Ct. Perfect addition to any slumber party or outdoor event! 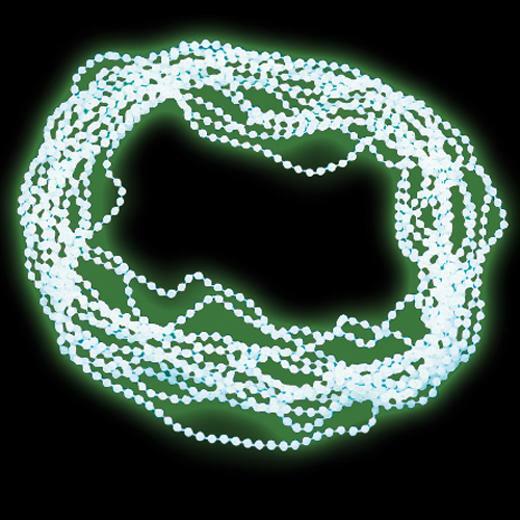 Get the party started for the kiddos with these child sized glow in the dark pearl beads. Perfect for any night time event. Just expose to light in order to activate the glow in the dark. A great addition to slumber parties! L: 4.25 in. W: 1.25 in. H: 14.2 in.